Instantly downloadable sheet music by Alain Boublil for choir and piano (SATB) of MEDIUM skill level. Alle Notenausgaben von I Dreamed A Dream zum Herunterladen bei VirtualSheetMusic. Alle Noten von Alain Boublil zum Herunterladen bei VirtualSheetMusic. Instantly downloadable sheet music by Eric Idle for choir and piano (SAB) of MEDIUM skill level. Alle Notenausgaben von Always Look On The Bright Side Of Life zum Herunterladen bei VirtualSheetMusic. Alle Noten von Eric Idle zum Herunterladen bei VirtualSheetMusic. Instantly downloadable sheet music by Oscar II Hammerstein for choir and piano (2-Part) of MEDIUM skill level. Alle Notenausgaben von I Whistle A Happy Tune zum Herunterladen bei VirtualSheetMusic. Instantly downloadable sheet music by Andrew Lloyd Webber for choir and piano (SATB) of MEDIUM skill level. Alle Notenausgaben von Memory (from Cats) zum Herunterladen bei VirtualSheetMusic. Alle Notenausgaben von 13 (Choral Highlights From The Broadway Musical) zum Herunterladen bei VirtualSheetMusic. Instantly downloadable sheet music by Alain Boublil for choir and piano (SSA) of MEDIUM skill level. Alle Notenausgaben von On My Own zum Herunterladen bei VirtualSheetMusic. Instantly downloadable sheet music by Mac Huff for choir and piano (SATB) of MEDIUM skill level. Alle Notenausgaben von You`ll Be In My Heart zum Herunterladen bei VirtualSheetMusic. Alle Noten von Mac Huff zum Herunterladen bei VirtualSheetMusic. Instantly downloadable sheet music by Stephen Schwartz for choir and piano (SATB) of MEDIUM skill level. Alle Notenausgaben von Beautiful City zum Herunterladen bei VirtualSheetMusic. Instantly downloadable sheet music by Edward Kleban for choir and piano (SSA) of MEDIUM skill level. Alle Notenausgaben von One (from A Chorus Line) zum Herunterladen bei VirtualSheetMusic. Alle Noten von Edward Kleban zum Herunterladen bei VirtualSheetMusic. Alle Notenausgaben von Rock Of Ages (Choral Medley) zum Herunterladen bei VirtualSheetMusic. Alle Notenausgaben von My Favorite Things (from The Sound Of Music) zum Herunterladen bei VirtualSheetMusic. Alle Notenausgaben von Sun And Moon zum Herunterladen bei VirtualSheetMusic. Instantly downloadable sheet music by Oscar II Hammerstein for choir and piano (SSA) of MEDIUM skill level. Alle Notenausgaben von Edelweiss (from The Sound Of Music) zum Herunterladen bei VirtualSheetMusic. Instantly downloadable sheet music by Andrew Lippa for choir and piano (SAB) of MEDIUM skill level. Alle Notenausgaben von Pulled (from The Addams Family) zum Herunterladen bei VirtualSheetMusic. Alle Noten von Andrew Lippa zum Herunterladen bei VirtualSheetMusic. Instantly downloadable sheet music by Stephen Schwartz for choir and piano (SSA) of MEDIUM skill level. Alle Notenausgaben von All Good Gifts zum Herunterladen bei VirtualSheetMusic. Instantly downloadable sheet music by Mac Huff for choir and piano (SAB) of MEDIUM skill level. Alle Notenausgaben von All For The Best zum Herunterladen bei VirtualSheetMusic. Alle Notenausgaben von Climb Ev`ry Mountain zum Herunterladen bei VirtualSheetMusic. 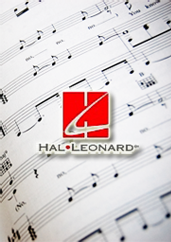 Instantly downloadable sheet music by Burton Lane for choir and piano (SATB) of MEDIUM skill level. Alle Notenausgaben von Look To The Rainbow (from Finian`s Rainbow) zum Herunterladen bei VirtualSheetMusic. Alle Noten von Burton Lane zum Herunterladen bei VirtualSheetMusic. Instantly downloadable sheet music by Charles Strouse for choir and piano (SSA) of MEDIUM skill level. Alle Notenausgaben von A Lot Of Livin` To Do zum Herunterladen bei VirtualSheetMusic. Instantly downloadable sheet music by Mac Huff for choir and piano (SSA) of MEDIUM skill level. Instantly downloadable sheet music by Roger Emerson for choir and piano (SSA) of MEDIUM skill level. Alle Notenausgaben von Brand New You (from 13) zum Herunterladen bei VirtualSheetMusic. Instantly downloadable sheet music by Duncan Sheik for choir and piano (SSA) of MEDIUM skill level. Alle Notenausgaben von Spring Awakening (Choral Medley) zum Herunterladen bei VirtualSheetMusic. Alle Noten von Duncan Sheik zum Herunterladen bei VirtualSheetMusic. Instantly downloadable sheet music by Oscar II Hammerstein for choir and piano (SAB) of MEDIUM skill level. Alle Notenausgaben von How Are Things In Glocca Morra zum Herunterladen bei VirtualSheetMusic. Instantly downloadable sheet music by Mark Brymer for choir and piano (SAB) of MEDIUM skill level. Alle Notenausgaben von The Addams Family Musical (Choral Highlights) zum Herunterladen bei VirtualSheetMusic. Alle Noten von Mark Brymer zum Herunterladen bei VirtualSheetMusic. Instantly downloadable sheet music by Andrew Lloyd Webber for choir and piano (SAB) of MEDIUM skill level. Alle Notenausgaben von Love Changes Everything (from Aspects Of Love) zum Herunterladen bei VirtualSheetMusic. Instantly downloadable sheet music by Jason Robert Brown for choir and piano (SATB) of MEDIUM skill level. Alle Noten von Jason Robert Brown zum Herunterladen bei VirtualSheetMusic.